Productive day. Found out I’ve been selected to speak at my graduation in a few months time… Exciting stuff. It’s one of those things that 1) I’m slightly scared of and 2) know would be an incredible chance to practice public speaking in front of a couple of hundred (maybe even a thousand) people. I’ll keep you informed on the process of writing, tweaking and practicing it over coming months. 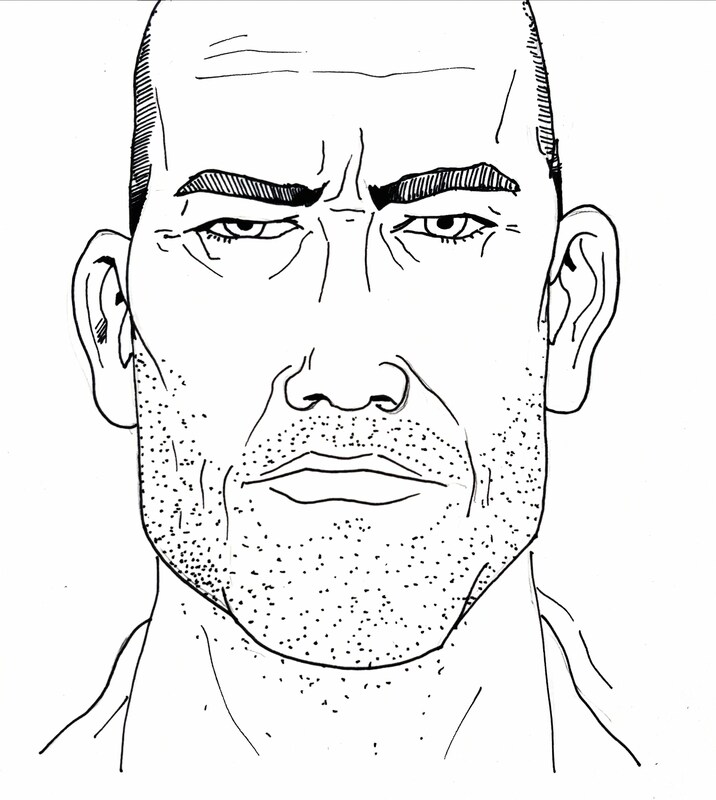 I drew Jocko Willink. If you’ve not come across him, he’s a former Navy SEAL – I first came across him on Tim Ferriss’s podcast and was pretty captivated. Then I listened to him on Joe Rogan. For a guy that looks like (and is) an absolute monster capable of tapping out even hardened black belts, he’s a deep thinker and reader. I love his take on history, literature and business. His podcasts are rammed full of incredibly practical advice, and I’m a big fan of the shorter videos highlighting key lessons. I’ve included one below. It’s a modern day take on the Stoic idea of ‘Amor Fati’; embracing everything that’s outside of your control. I’ve written about that idea’s influence on my life before in a post entitled ‘Sisyphus and Storytelling’. Check it out here if you’re interested.